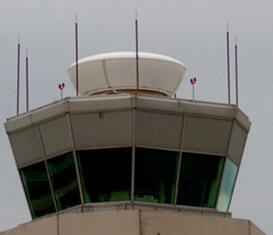 May 1, 2011 - Federal Aviation Administration Administrator Randy Babbitt announced additional management changes and other actions on Friday as part of the FAA’s comprehensive review of the air traffic control system. Three veteran FAA managers will be repositioned to assume oversight of critical air traffic roles. Walt Cochran will oversee Terminal Operations, where he will be responsible for all of the Agency's airport towers and TRACONS (approach and departure control). Chris Metts will oversee all of the Agency’s En Route and Oceanic operations. Glen Martin will become the Air Traffic Manager at the Cleveland Air Route Traffic Control Center. He is currently the deputy air traffic manager at Chicago Center. The FAA is also assessing key mid-level management positions to ensure that both technical and leadership expectations are being met. Teams of FAA experts are also examining some of the agency’s more complex facilities, including Cleveland and New York Centers, in an effort to make certain that operational policies and professional standards are being upheld. “We are continuing to do everything in our power to ensure that our nation’s aviation system remains the safest in the world. This is just the beginning of the process to make sure we have the best possible team in place,” said Transportation Secretary Ray LaHood. Secretary LaHood and Administrator Babbitt announced earlier this month that the FAA would place an additional air traffic controller on the midnight shift at air traffic control towers and facilities around the country that were staffed with only one controller during that time. Three controllers in Knoxville, Miami and Seattle were fired for sleeping while working an operational position. These employees have a due process right to respond to these actions. Additionally, the FAA instituted changes to air traffic controller scheduling practices that will allow controllers more time for rest between shifts. The FAA and the National Air Traffic Controllers Association (NATCA) are continuing to work together on additional changes that will help reduce controller fatigue, including a fatigue education program. On Friday, the FAA also announced the members of an independent review panel that will evaluate the agency’s air traffic control training curriculum, qualifications and placement process to make sure new controllers are properly prepared. The members of the panel are: Michael Barr, University of Southern California Aviation, Safety & Security program; Tim Brady, Embry Riddle Aeronautical University; Garth Koleszar, NATCA; Michael New, United Airlines; and Julia Pounds, FAA. The panel will submit a report to FAA Administrator Babbitt this fall. During the Call to Action, FAA and NATCA teams have so far visited air traffic personnel and facilities in and around: Atlanta; Boston; Chicago; Cleveland; Columbus; Dallas–Ft. Worth; Denver; Kansas City; Knoxville; Lincoln; Louisville; Miami; Minneapolis; New York; Oklahoma City; Oakland; Omaha; Reno; Sacramento; and Salt Lake City.